#1. #UnfollowBullying won for the Best Twitter Hashtag. Very exciting to watch a student-initiated, student-led campaign move from vision to reality! (Yes, the students are from my school district:-). #2. The Digital ID project was voted a finalist for Best Educational Wiki. #3. Jaden’s Awesome Blog won for Best Student Blog. Fifth grader Jaden got his start as a blogger while in Linda Yollis’s 3rd grade. 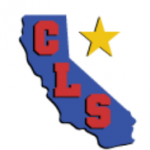 Jaden’s blogging skills reflect the reading/writing possibilities that can happen when an outstanding teacher blogger models that students earn their right to their own blog by demonstrating 21st century citizenship and literacy skills through Linda’s classroom blog. Jaden also won the Most Influential Blog Post category for his Ten Things I’ve Learned about Blogging post. I love that Jaden attended the virtual awards ceremony prepared with an acceptance speech! Just wish that Ms. Yollis and her students would switch to Edublogs, as my district, like many, blocks Blogger:-(. Congratulations to all the nominees, finalists, and winners! If you’re not following Edublogs’ Teacher Challenge: 30 days to using the best of the web’s free tools for educators, I think it’s a discussion you’ll want to join! The Challenge format is a great way to organize, archive, and share the many ways teachers are using web tools to engage students and extend learning. Having stepped up to the challenge when there are already 17 fabulous challenges posted, with many of my favorite tools (e.g., VoiceThread, LiveBinders, Skype, Glogster, Wall Wisher, etc.) already listed, has me reflecting on tools not yet listed that I see being used in powerful ways. I’ve decided against posting on tools that are platform specific, such as PhotoStory 3 (Windows) or iMovie/Movie Maker 2. I’m also going to pass on tools I think look fantastic, but I haven’t personally used yet with students, such as Museum Box. I’m going with Audacity. Audacity is one of my favorite free cross-platform tools. Students love Audacity, especially ELLs (English Language Learners). I posted a tribute to Audacity back in February. Ironically, I haven’t been able to interest many teachers in this great tool. I’m guessing the fact that I typically present Audacity as part of a web tool series and that teachers are initially swept away with more visual tools, such as VoiceThread, PhotoStory 3, etc., explains why they, consequently, often do not find the time to return to and really explore the power of Audacity. To me Audacity is all about the power of the human voice – and the ability to easily edit that voice. 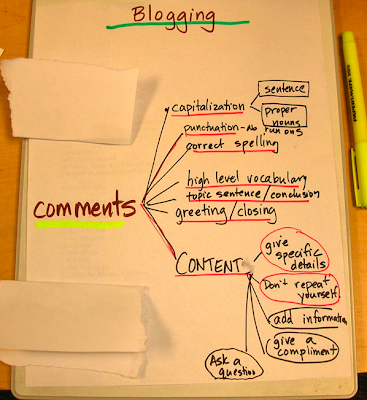 Combine Audacity with blogging and you can catapult student voices out to the world. OK, I’m heading into the 30 Day Challenge to begin working on my post. Do you have any Audacity stories, samples, resources you recommend I include in my challenge piece? Edublogs Awards – Need a little inspiration? I’m working on my list of 2010 Edublogs Awards. If you’ve not participated before in this great opportunity to acknowledge the educators who inspire you and contribute to your teaching toolkit, checkout the new Edublogs widget I’ve pasted below to see who others are nominating. Hoping to finish and post my list of nominees by the end of the week! Thought I would start my Winter Break with a tour of the 2009 Edublog Awards. 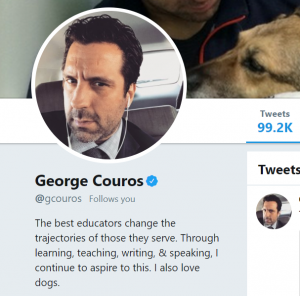 At first glance, it looks a bit like a “round up of the usual suspects,” with awards going to many folks I’ve been following for sometime – and whose contributions to the edublogosphere continue to inform and inspire my teaching practice and toolkit. Happy Rainbow – Mr. Halpern’s byline of “Journey of a Male Kindergarten Teacher” kind of says it all. I’m glad to have to this window into the kindergarten world (pretty much an unknown territory for me). Billings Beta – In so many school districts, those school-to-home connections start to get a little fuzzy at the middle school level. I doubt if this is the case at Billings Middle School, with Jac de Haan, the school’s Technology Integration Coordinator, posting about relevant topics, such as Facebook updates and digital identities. Congratulations to all the 2009 Edublog Award winners! Tuesday, December 8, is the cutoff for the 2009 Edublogs Awards nominations. If you’re not familiar with the Edublogs Awards, I recommend checking out last year’s winners. 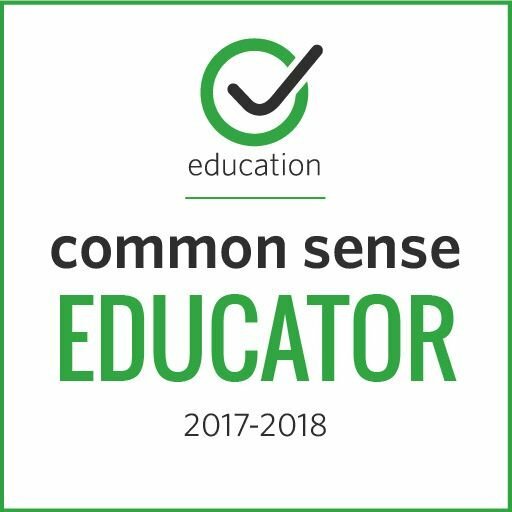 Besides being an opportunity to recognize the efforts of educators who have become valuable contributors to my personal learning network, the end result of this contest is an excellent list of great resources to show teachers who are new to the edublogosphere and are wondering how blogging and Web 2.0 tools can benefit them and their students. Best individual blog: Educating Alice -It’s hard to pin down Monica Edinger’s blog category-wise. Although she is a classroom teacher (4th grade, Dalton School NYC) and shares amazing student work (such as blog posts of 4th grade reviews of Wild Things movie), she also provides her readers with insightful windows into authors and new books for young readers – and has led me to a host of other great blogs and bloggers. Best individual Tweeter: Jackie Gerstein – Without even looking, I’m pretty sure about 90% of my retweets spring from Jackie. Luckily, her tweets seem to come through early in the morning. Love starting my day with her shared resources, such as PBS Digital Natives Map. Best Group Blog: YouthVoices – I’m repeating last year’s nomination for this category. The credit for this dynamic project that engages a growing student community goes to Paul Allison and Susan Ettenheim. Best new blog: Ms. Robertson’s Class – 5th grade teacher Heather Robertson, new to blogging as of November 5 (when she attended one of my EETT workshops), is committed to taking her students beyond the confinements of the high-poverty, high-crime that surrounds her school site. I’m looking forward to following her first year’s journey into the edublogosphere. Best class blog: The Electric Pencil – Tough to decide whether to nominate Kevin Hodgson for his personal blog ( a constant source of ideas and inspiriation, such as today’s post on teaching Three Cups of Tea) or the class blog. I went with the class blog since it’s such a motivating site to show other teachers and their students. 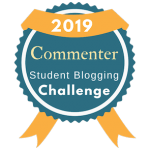 Best student blog: Little Miss Room 18 – My favorite student blogger from the 2009 Bloggers Challenge. Best resource sharing blog: Reading Rumpus – I’ve just discovered Cheryl Vanetti’s (AKA Tasses) blog, but oh my, if you’re looking for succinct insights into books for young readers, I think you’ll share my enthusiasm for Cheryl’s posts (ranging from why you might actually want to pick a particular hi-lo book to a fantastic must-share glimpse into how a graphic novelist creates his craft). 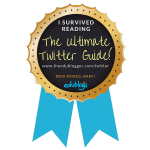 Most influential blog post: The Art of Reading – I applaud and appreciate the steps Doug Noon is taking to promote this students’ love of reading – as well as his on-going efforts to confront hard topics. Best teacher blog: Creating Lifelong Learners – Mathew Needleman’s blog is the first one I recommend to elementary school teachers (who often feel restrained by a scripted curriculum for a mandated language arts program) who are looking for resources and common sense approaches to technology integration. 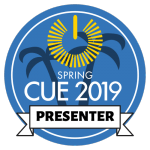 And I’m really looking forward to joining his K12 Online Conference session Steal This Preso – Copyright, Fair Use, and Pirates. Best Librarian blog: Joyce Valenza’s NeverEndingSearch – Every middle school should a librarian like Joyce, who continues to introduce new tools and topics and makes me rethink how to better use some of the ‘old tools’ (such as PowerPoint). Best educational tech support: The Edublogger – Sue Waters – Sue continues to teach me new Web 2.0 tools, explain a bit about their power, and provide me with easy-to-use tutorials. Best educational use of audio – YA! Casts – Robert Rozema’s innovative Web 2.0 projects are grounded in research and a great resource for making visible the power of the human voice. Second year to nominate YA Casts, but podcasts such as Walter Dean Myers’ Monster, for example, are pretty tough to compete with! 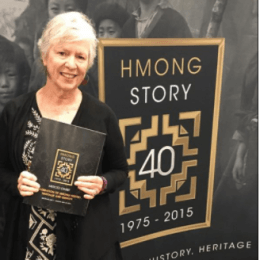 Best educational use of audio and images: Letters from the Internment Camps – OK, I’ve just added a category, but I find Halerin Ferrier’s 4th grade VoiceThread to be a model for taking students’ voices – and their understanding of complex social issues – beyond the walls of the classroom. Best educational wiki: End to Copyright Confusion – Such an important topic – and Renee Hobbs and her team have done an awesome job of providing the background and resources that truly make this whole messy area of fair use understandable – and discussable. Best educational use of a social networking site: The Digital Writing Workshop – I resisted joining this ning because, to be honest, I’m pretty ‘ninged out.’ But after buying Troy Hick’s accompanying book, a must-read for anyone teaching writing from K-adult, I find my self heading in to checkout the conversations on a pretty regular basis. Take, for example, the current thread on Framing an Approach to the Digital Writing Workshop, which directly addresses issues such as access to and ethical use of the Internet – and much more. 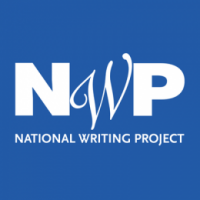 If you like to hang out with brilliant educators from the National Writing Project or the National Council for Teachers of English, or if you are just want to join conversations on the possibilities for teaching writing in a digital age, I recommend joining this ning. Lifetime achievement: Steve Hargadon – Hmmm, where to start listing reasons why Steve Hargadon deserves this recognition? 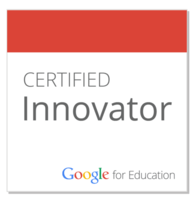 !….Maybe with his creation of Classroom 2.0, which provided so many educators (myself included) with their first experience with a ning. And how about the amazing and free Edubloggers’ conferences that he organizes across the nation and always before NECC (and our state CUE conference)? Plus he is an awesome keynote speaker. And the way he stands quietly in the background while encouraging others to step into the limelight…now that’s a gift! How luck to be teaching in a time with so many great bloggers to learn from! Good News – to pass on! 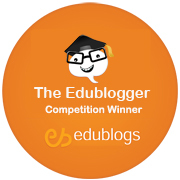 The highlight of my week was learning that I am an Edublogger Competition Winner! With that honor comes the opportunity to pass on to someone else a free, 12-month Edublogs Supporter subscription. I’ve decided to turn this option into a competition within my school district. Although a number of teachers have added blogging to their toolkit, as far as I know, not a single principal in the district is an active blogger in the edublogosphere. But wouldn’t that be awesome to have an “in-house” administrator join the ranks of principal bloggers whose blogs have been added to Scott McCloud‘s growing Moving Forward wiki, such as elementary school principal Vincent Baxter, middle school principal Chris Lindholm, and high school principal Patrick Larkin ?! I’d like to include in the email links to 3-5 exemplary principals’ blogs from elementary, middle, and high school sites. Do you have any recommendations?